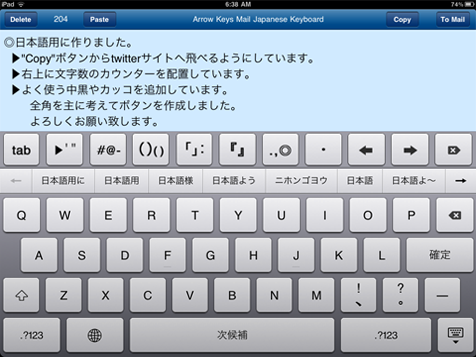 Release "K4us Keyboard" Apps for iPad and iPhone!! 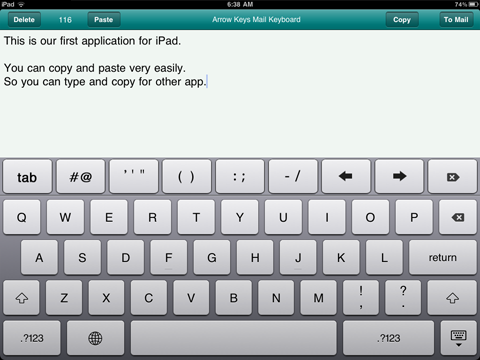 Arrow Keys Apps for Draft write!! 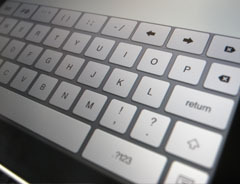 Attention: This Arrow Keys works ONLY in our Apps. Simply you can change letters. 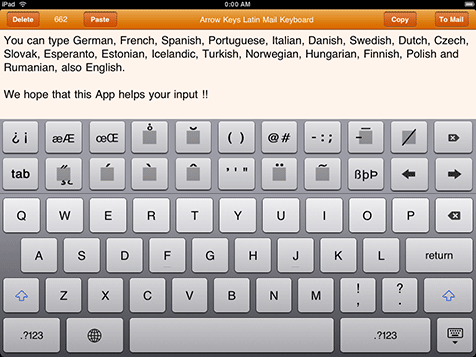 Arrow Keys and delete keys helps your input. 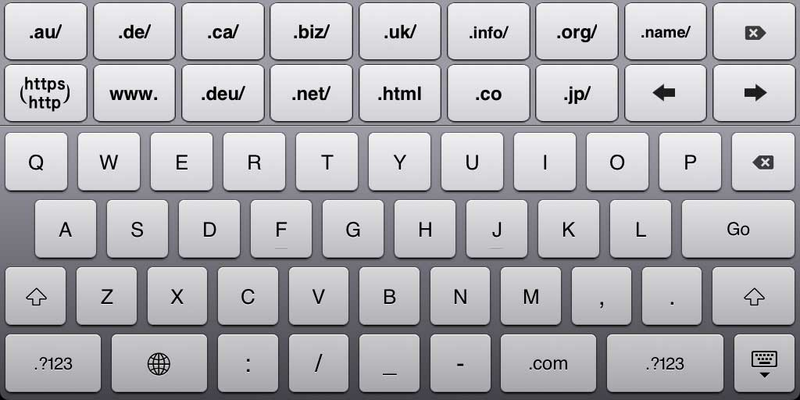 You can type URL very easily. 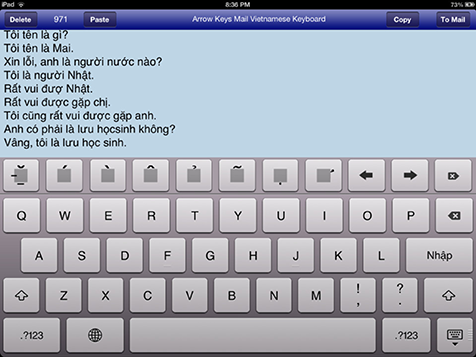 Easy Keyboard series work on iPad! When you tap "x2", you can use them on iPad.